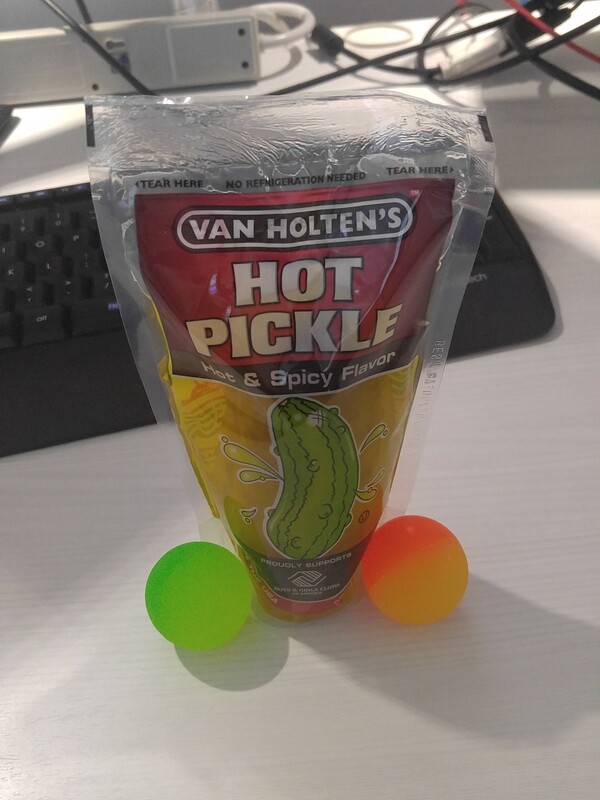 I’ve never eaten a pickle in a bag before. I’m about to eat this pickle in a bag. Balls for reference. Previous Post My mom thinks I’m funny.